Above: The new license plate offered by the Alumni Association. Below: The old license plate featuring Sebastian the Ibis. 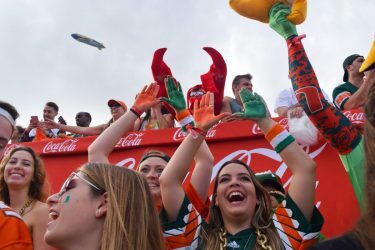 Last year, the phrase “Out with the old, in with the U” informed the community that the University would be discontinuing the UM license plates featuring our beloved Sebastian the Ibis. Instead of replacing Sebastian, the new license plates should have lived alongside him. The webpage for the Alumni Association states that, with the new design, “In a sea of standard license plates, yours can be the one that turns heads.” That may be true, but the Sebastian license plates were just as capable. 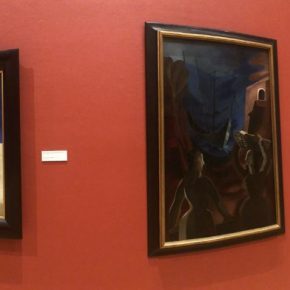 In fact, they were even more noticeable. The new license plates feature only orange and green, colors already found on the standard Florida license plate. 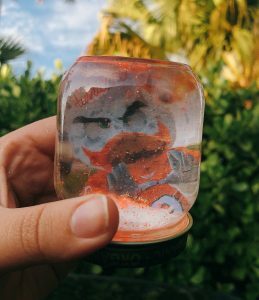 In an online contest, UM alumni decided to send Sebastian into retirement. Had current students been able to weigh in on this decision, the results might have turned out differently. It is not unheard of for universities to have more than one custom license plate. 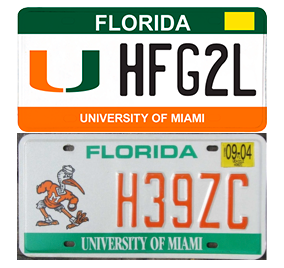 Instead of making students choose between the new plate and the standard Florida one, why not give us two ways to express our UM pride? Yes, people will still buy the new plates, but some who would have bought the Sebastian plates will simply not buy the U ones. Custom UM plates cost $25 more than the standard Florida license plate. 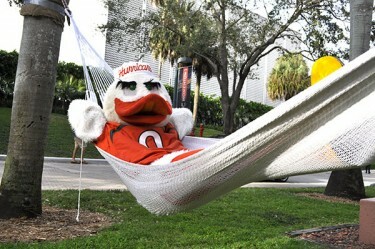 That extra $25 helps fund scholarships for University of Miami students. According to the Alumni Association’s website, almost $2 million have been collected over the lifetime of the custom tags. If UM had continued to sell both plates, the school would have generated more sales and helped more students finance their education. The new plates allow students to flaunt the U wherever they go, but while the U is indeed iconic, nothing makes other drivers aware of your Hurricane spirit more than a plate depicting our beloved mascot. Let’s bring back the Sebastian plates so we can choose how we display our UM pride.